In the heart of the Carmes quarter, Notre-Dame-de-la-Dalbade stands out with its colourful entrance: bizarre for a church whose name means « white ». Built around the VI Century, this church was entirely reconstructed at the end of the XV Century following a fire. Originally, the exterior was covered in lime, which gave it an immaculate whiteness, a tribute to the Virgin. Nowadays, whilst white has given way to red brick outside, the colour can still be seen in the interior. For a long time its bell tower was the tallest in the city at 91 metres, until it dramatically collapsed in 1926. 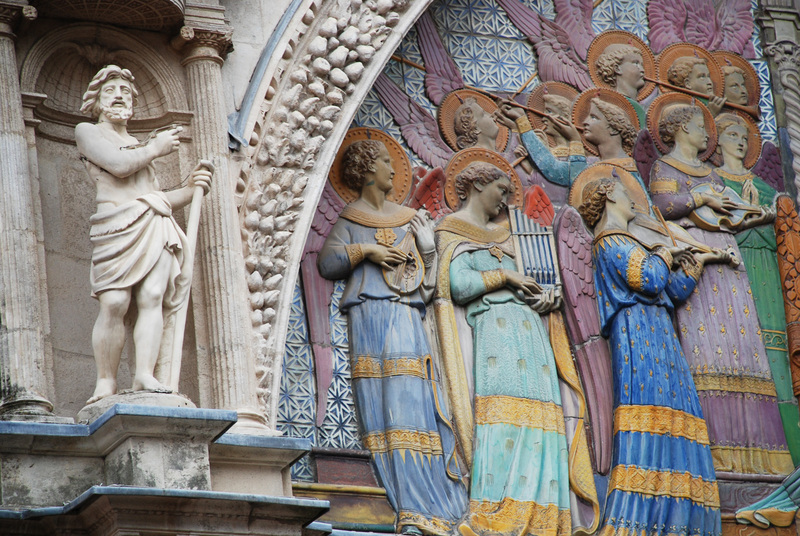 Despite these misadventures, it is still standing and proudly welcomes visitors through its Renaissance doorway and with its superb tympanum made of coloured ceramic, created in 1878 by the famous ceramist Gaston Virebent, who drew inspiration from the Coronation of the Virgin by Fra Angelico.